This is called a rectangular parallelepiped, all six faces of which are rectangles. The formula for calculating its surface area is very simple: S = 2(ab + bc + ac), where a, b and c – the lengths of the edges. To begin calculate the area of three different faces of the parallelepiped. 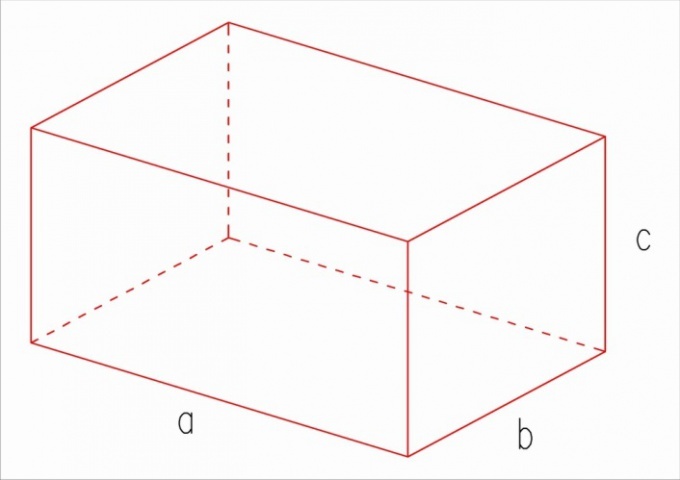 For example, the length of the box (a) is 7 cm, width (b) 6 cm, and the height (C) 4 cm Then the area of the upper (lower) faces will be equal to ab, i.e. 7x6=42 cm Area of one of the side faces will be equal to bc, i.e., 6x4=24, see Finally, the area of the front (rear) face is equal to ac, i.e. 7 × 4=28 cm. Be careful not to confuse a rectangular parallelepiped with direct. The direct parallelepiped rectangles are only the side faces (4 of the 6 faces), and the upper and lower bases are arbitrary parallelograms. As a particular case of a rectangular parallelepiped can be considered CC, since all its faces are equal, then for finding the surface will be necessary to erect the edge length in the square and multiply by 6. The base of a parallelepiped is always a parallelogram. To find the area of the base, calculate the area of this parallelogram. As a special case, it can be a rectangle or a square. You can also find the area of the base of the box, knowing its volume and height. In the General case, the base of a parallelepiped is a parallelogram. To find its area, using a ruler, make the measurement of the lengths of its sides and a protractor to measure the angle between them. The square base of a parallelepiped is equal to the product of these sides by the sine of the angle between them S=a • b • Sin(α). To determine the area of the base of the box the other way, measure one side of the base, then lower to her height from the vertex, which lies opposite this side. Measure the length of this height. To obtain the area of the base find the area of a parallelogram by multiplying the length of a side on high, which is omitted S=a • h.
To obtain the values of area another way to measure the lengths of its diagonals (the distance between opposite vertices), and the angle between the diagonals. The area will be equal to half the product of the diagonals by the sine of the angle between them S=0,5•d1•d2•Sin(β). For a parallelepiped, which lies at the base of the diamond, it is sufficient to measure the lengths of its diagonals and to find half their work S=0,5 • d1 • d2. In the case where the base cuboid is a rectangle, measure the length and width of this geometric figure, and then multiply these values S=a • b. This will be the area of its base. In the case when the base is square, measure one of its sides and lift in the second degree S=a2. If you know the volume of the box, measure its height. To do this, drop a perpendicular from any vertex of the upper base onto the plane, which belongs to the lower base. Measure the length of this segment, which is the height of the box. If the parallelepiped line (its lateral edges perpendicular to the basem), it is enough to measure the length of one of these edges, which equals the height of the box. To obtain area of base, volume of a parallelepiped divide by its height S=V/h. Spatial figure is called a cuboid has a few numerical characteristics, including the area of the surface. To define it, we need to find the area of each face of the box and fold the resulting value. 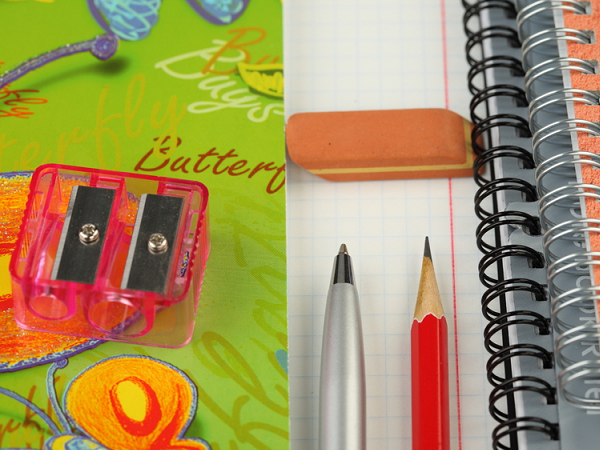 Draw a box using the pencil and ruler, placing the base horizontally. This is a classic form of representation of shapes, which can be used to demonstrate all the conditions of the problem. Then to solve it will be much easier. Look at the picture. Have a box of six pairs of parallel faces. Each pair represents an equal two-dimensional shapes, which in General case are parallelograms. Accordingly, their areas are also equal. Thus, the total surface is the sum of the three matching variables: square of the top or bottom of the base, the front or rear faces, right, or left face. To find the square faces of a parallelepiped, we need to consider it as a separate figure with two dimensions, length and width. At the well-known formula area of a parallelogram equals the base to the height. The direct box only the bases are parallelograms, all the lateral faces are rectangular in shape. The area of this figure is obtained by multiplying the length by the width, since it coincides with the height. In addition, there exists a rectangular parallelepiped, all faces of which – rectangles. The cube is also a parallelepiped, which has the unique property – equality of all measurements and the numerical characteristics of the faces. The area of each of its sides are equal to the squared length of any edge, and the full surface is obtained by multiplying this value by 6. 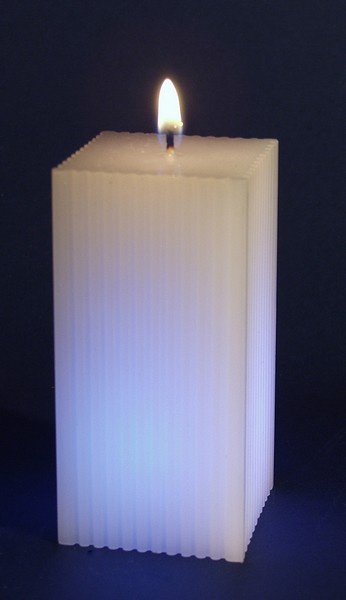 The form of a parallelepiped with square corners can often be found in everyday life, for example, in the construction of houses, construction of items of furniture, household appliances, toys, stationery, etc. Example: find the area of each lateral face direct of the box, if you know that the height is 3 cm, the perimeter of the base is 24 cm and base length greater than width 2 cm Solution.Write down the formula for perimeter of parallelogram P = 2•a + 2•b. The statement b = a + 2 therefore P = 4•a + 4 = 24, whence a = 5, b = 7. Find the area of the lateral faces of the figure with 5 sides and 3 cm rectangle:Ѕб1 = 5•3 = 15 (cm2).The area of parallel side faces, by definition of the box, also equal to 15 cm2. It remains to determine the area of the other pairs of sides with the sides 7 and 3:Ѕб2 = 3•7 = 21 (cm2).